Serena appears and introduces herself to the audience. She tells us that she has the power to transform into Sailor Moon with the use of her compact and then tells us about Sailor Mercury, Sailor Mars, Sailor Jupiter, Sailor Venus, Luna and Artemis and how together, they'll protect the planet from all evil. In the past, a young Darien walks onto the rooftop of a hospital to meet a young boy called Fiore. He gives him a rose and asks him not to leave. Fiore says he has to, thanks him for the rose and promises to return one day with flowers for him. He then begins to sparkle and disappears, leaving a lonely, crying Darien by himself. In the present, Serena and the girls go to meet Darien at the Jindai Botanical Garden. They all have a great time exploring the gardens with Serena and Darien seeing this as a chance to get some privacy. While in the greenhouse, Serena and Darien come across the flower, forget-me-not which causes Darien to vaguely remember Fiore in his childhood. Serena tells him that in the language of flowers, it is the flower for love and moves in with her eyes closed for a kiss. Behind a nearby shelf of plants, Raye, Amy, Mina, Lita, Rini and Luna P are spying on the two love-birds. Amy tells them that they're setting a bad example for Rini but all the other girls (and eventually Amy as well) are far to interested in what Serena and Darien are doing. Due to all the noise they're making though, Darien realises he's being watched and backs away, leaving Rini to place a caterpillar in front of Serena's face. As Serena opens her eyes she screams and backs away as fast as she can. All the girls laugh. Outside Darien reflects on how relaxed flowers make him feel. Suddenly the sky is filled with flower petals. Serena and the others come outside to join Darien and are amazed at the beautiful site. Suddenly in the centre of the garden grounds a man appears and walks towards Darien. He tells him that he's Fiore from long ago and that he's kept his promise of returning with flowers for Darien. He then holds Darien's hand gently, causing Serena to grow concerned and hold her boyfriend. Fiore pushes Serena away, knocking her onto the ground. All the girls yell at him for pushing someone. Fiore tells them that noone will stop him from completing his promise and disappears in a storm of flower petals. That night Luna and Artemis are watching a news report about a meteor that is flying past the Earth. They tell the girls that at the moment it'll miss the Earth and even if it did, it is hollow and would burn up on re-entry anyway. Mina says that they don't need to worry then but Luna and Artemis tells them that they've detected a high level of plant life on the meteor. Serena doesn't seem interested however as she's concerned over Fiore and what kind of relationship he had with Darien in the past. Serena tells the girls that she and Darien never talk about his past as it was very lonely for him. All the girls then get sidetracked and start talking about their first loves. Serena sits outside and thinks about Darien. The next day Serena, Amy, Raye, Mina, Lita, Artemis, Luna, Luna P and Rini all decide to go for a walk in Azabu Juban. Rini thanks Lita for the lunch that she made and everyone seems happy. Suddenly Raye stops and tells everyone she senses an evil presence. The all run around the corner to the source of the evil but Rini trips over and is left behind. When they round the corner, they see a huge amount of people unconscious on the ground. Artemis tells them that they've all had their energy drained. As Mina kneels down to inspect one of the bodies, the body comes alive and grabs her ankle. Mina manages to free herself by kicking the man in the face. Before the girls can take in what has happened, clumps of vine begin appearing out of nowhere and animating all of the bodies! The girls begin to fight but are quickly outnumbered. Luckily Raye uses her spiritual powers and her charms to burn the vines and return the bodies to their inanimate form. Sailor Mercury pulls out her computer and locates the source of the energy, a pink flower just across the road. Suddenly the flower jumps up, grows in size and begins to run at a super fast speed towards Rini who has just found everyone. Serena dives at Rini and knocks her out of the flower's path but throws the two of them through a shop window. The flower then extends it's vines and grabs Raye and Amy. 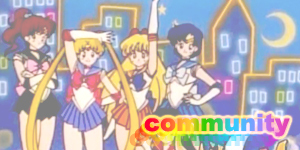 Mina and Lita transform into Sailor Venus and Sailor Jupiter and attack it with Venus Love Chain Encircle and Jupiter Thunderclap Zap which knocks it back, freeing their friends. As they run to Raye and Amy's side the flower recovers from their attacks. Raye and Amy then transform into Sailor Mars and Sailor Mercury. Sailor Mars attacks with Mars Celestial Fire Surround and Sailor Jupiter with Jupiter Thunder Crash but again the flower recovers. Inside the building, Rini wakes Serena up by sticking tissues in her nostrils and blocking her mouth. Serena, unable to breath wakes up and yells at Rini but Rini tells her the others need her and thanks her for saving her life. Serena then transforms into Sailor Moon and goes to save the others. Outside Sailor Jupiter has thrown another Jupiter Thunderclap Zap at the flower but missed. The flower then grabs all four Sailor Scouts and begins to drain their energy. Out of nowhere Sailor Moon's tiara comes flying into sight and slices the vines, freeing the Sailor Scouts. Sailor Mercury then uses Shine Aqua Illusion to freeze the flower and tells Sailor Moon to use her sceptre. Sailor Moon then uses Moon Sceptre Elimination which destroys the flower. Fiore then appears and a blossom on his chest unfolds revealing itself to be an alien lifeform. Luna and Artemis are shocked and recognise it as being the Kisenian Blossom! The Kisenian Blossom tells Fiore to attack and he does so but Tuxedo Mask appears and stops him. He tells Fiore that if his friendship is true then he must trust Sailor Moon and the others as he does. Fiore agrees but the Kisenian Blossom quickly changes his mind, and makes Fiore attack Sailor Moon. Surprisingly Tuxedo Mask jumps in the way and is severely wounded by Fiore. Fiore takes Tuxedo Mask's body away with him to the meteor, leaving Sailor Moon crying over the loss of her love. When Darien wakes up, he finds himself floating within a crystal on the surface of the meteor. Fiore approaches him and reminds him of how he had been alone in space and upon arriving on Earth Darien found him and the two became close childhood friends and that when he left he meant to keep his promise to give him a flower in return for the rose Darien gave him. Fiore tells of how he searched space for the perfect flower and eventually came across the Kisenian Blossom and that it was after picking the flower that it occurred to him that he would return to Earth and punish everyone for making Darien's life so miserable. Back in Tokyo, the Sailor Scouts have gathered in Azabu Juban with Rini, Luna and Artemis to decide what to do next. Artemis and Luna tell them that while they had never encountered a Kisenian Blossom before in the Moon Kingdom, everyone had heard of it as it has destroyed thousands of worlds by attaching itself to a weak hearted person and feeding it with anger until it gains enough power to take over more people and obliterate the entire planet. Sailor Venus, Mars, Mercury and Jupiter decide to take the battle to Fiore but Sailor Moon who is still feeling at fault for Tuxedo Mask being captured begins to cry. 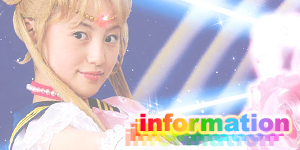 Rini makes Luna P transform into a gun that fires a dart at Sailor Moon's forehead. Rini then tells Sailor Moon that she's a superhero and that she can do it because she believes in her. Sailor Venus reminds everyone that Tuxedo Mask is up there and while they have to destroy Fiore and the meteor they have to get Tuxedo Mask out unharmed. The five Sailor Scouts then hold hands in a circle and perform the Sailor Teleport which teleports them into space and towards the meteor. As they near the meteor (inside a magical sheild) the meteor opens and transforms. Suddenly a plant creature flies towards them. Sailor Venus tells them to stay on target and together they charge their shield up with Sailor Planet Attack which obliterates the villain but throws them all into the air and landing hard on the surface of the meteor. Sailor Mercury uses her goggles and spots Tuxedo Mask who is still trapped inside his crystal prison. Before they can move though, Fiore appears and tells them of his plan to send thousands of spores to Earth and take it over with heaps of Kisenian Blossoms. Sailor Mars won't hear of this and fires a powerful Mars Fire Ignite at him. Fiore teleports out of the way though and summons all the other flower creatures to attack the Sailor Scouts. Sailor Venus suggests that Sailor Moon use her sceptre to stop this battle before it starts. 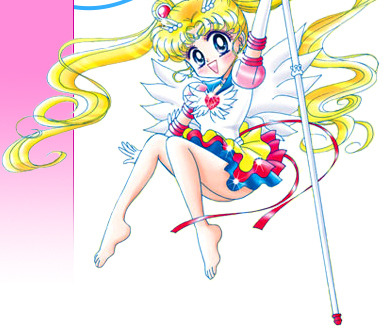 Sailor Moon agrees and fires off a powerful Moon Sceptre Elimination that wipes out a majr part of the flower baddies. Sailor Venus, Sailor Mars, Sailor Jupiter and Sailor Mercury all attack with massive versions of Venus Crescent Beam Smash, Mars Fire Ignite, Jupiter Thunder Crash and Mercury Shine Aqua Illusion causing Fiore to call a retreat. Much to the horror of the Scouts, the flowers all combine into one giant mountain and move to attack them. Sailor Mars pushes Sailor Moon out of the way as they're all engulfed in the mountain of monsters. Sailor Moon runs to them to try and dig them out but it's too late. Fiore begins to gloat and then pulls the four Sailor Scouts' bodies out of the mountain and shocks them all with an electric attack. Fiore tells Sailor Moon that if she surrenders her Moon Sceptre he will free her friends. The Sailor Scouts tell Sailor Moon not to do as he says as only she should wield the Moon Sceptre. Sailor Moon then shocks everyone by dropping the sceptre and telling Fiore that she will do what he says as she doesn't want to risk losing her friends. Fiore then begins to feel conflicting emotions seeing which makes the vines holding the Scouts and flower creatures disappear. The Kisenian Blossom quickly begins to influence Fiore again and empowers him up to a more powerful red form. Fiore announces that he will kill Sailor Moon for getting in his way. Sailor Venus then yells at him to stop as Sailor Moon saved her in every possible way. Fiore tells them that they don't know what it's like to be alone which causes all the Sailor Scouts to briefly recall how they were all alone as well. Sailor Mercury remembers how she had always been an outsider, Sailor Jupiter thinks back to when everyone was spreading rumours of her fighting, Sailor Mars recalls how lots of people feared her due to her powers and friendship with her crows and Sailor Venus remembers the loneliness she felt being Sailor V and not having anyone to share the experience with. Fiore then moves to attack Sailor Moon but is struck in the chest by a rose thrown from Tuxedo Mask who had managed to escape. Being struck with a flower by Darien causes Fiore anguish which makes him revert back to his former self and disintegrates all the blossoms covering the meteor's surface. Sailor Mercury says that they saved Earth, but Fiore announces that he's now ready to die if he can't have Darien and changes the meteor's directory to Earth with all of them on board without enough energy to teleport off. Sailor Moon then sits up and tells him she will stop him. 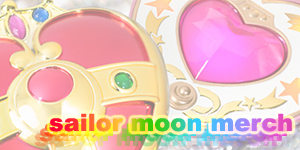 She opens her compact and reveals the Imperium Silver Crystal but Fiore reaches and grabs it, causing Sailor Moon to detransform in a burst of pink transformation ribbons. Serena simply looks at Fiore and tells him that perhaps if he sees how she and Darien first met he will understand true friendship. In a flash of light it's revealed that Serena and Darien actually met years before Serena became Sailor Moon when her mother was in the hospital having her younger brother, Sammy. In the flashback, the young Serena tells Darien why she's in the hospital and gives him one of the roses she had bought with her to give to her mother. The flashback then finishes and Fiore realises that the rose he had treasured had actually come from Sailor Moon all along. The Imperium Silver Crystal then changes shape into that of a rose. In the waves of emotion, the Kisenian Blossom is destroyed and Fiore disappears. Despite this, the meteor is still heading towards Earth and has just begun re-entry. Serena then transforms into Princess Serenity and summons the power of the crystal to create massive white energy beams that begin to blast the meteor, shrinking it's size to reduce it's spread and stop it from falling. Tuxedo Mask then stands up and transforms into Prince Endymion and moves to her side. Sailors Venus, Mars, Jupiter and Mercury also move to help their princess and as they all remember how Serena has impacted their lives they summon their planets' powers and help Princess Serenity protect the meteor and prevent it from crashing into Earth. In a burst of pink light the Imperium Silver Crystal shatters and Princess Serenity collapses as the meteor streaks across the Earth's atmosphere. Back on Earth Luna, Artemis and Rini all site worrying about everyone up in space. 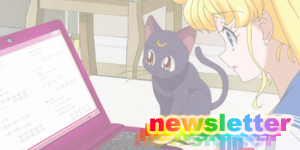 Rini tells Luna and Artemis that they don't have to worry as Sailor Moon's protected by moon power. 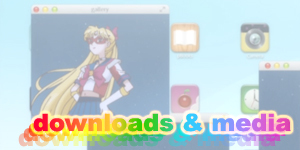 On the meteor, Sailor Moon's body lies motionless. Everyone is crying around her. Sailor Mars begins to shake Sailor Moon's body but nothing seems to work. The Imperium Silver Crystal is completely gone. In Darien's mind, Fiore appears and gives him his "life flower" as a thank you for him and Sailor Moon freeing his spirit. He instructs Darien to give it's nectar to Sailor Moon to revive her. As Fiore's spirit floats away, Tuxedo Mask kisses Sailor Moon and she slowly revives as the crystal reforms. 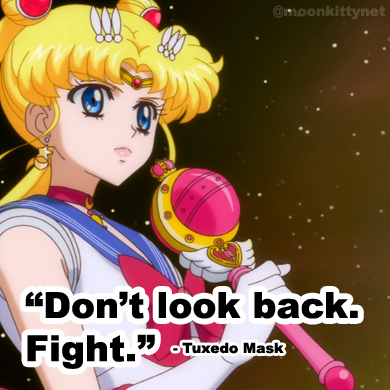 Sailor Moon tells everyone to trust her next time she says everything will be okay. 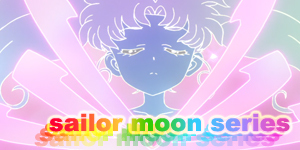 Everyone begins to laugh and cry and hug Sailor Moon while telling her they love her. Fiore is obviously of the same species as Alan and Anne who appeared in the first part of Sailor Moon R and like them has a dependence on plant life, this time with the Kisenien Blossom. What's more interesting is the fact that Fiore was made by the production teams an an homage to Anne and Alan and that Fiore and Kisenian Blossom even share the same Japanese voice actors as the two aliens! 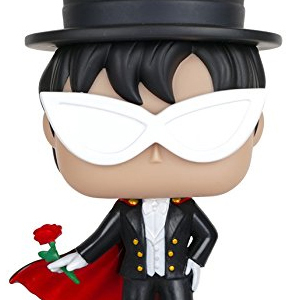 Ironically, the English voice actor for Alan is the new voice for Tuxedo Mask! The gardens featured in this movie are called The Jindai Botanical Garden and are in fact a real location within Tokyo. It is famous for being the first botanical garden in Tokyo and is home to over 4,500 species of plants. For more information check out this site. The circular archway where the Sailors Sailor Teleport is actually a real place in Azabu Juban in Tokyo. 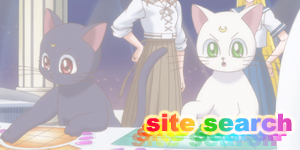 For more information on this real world location, check out my Sailor Moon Travel Guide here.